Earlier this past month, the last founding member of the Virginia Wesleyan board of trustees, Trustee Emeritus Robert “Bob” Friend Boyd passed away April 7 at the age of 90, while leaving behind a long lasting and memorable legacy. As reported by President Scott Miller in his Nota Bene, Boyd was a lawyer and a partner of the Boyd & Boyd, P.C. law firm. He was active within the United Methodist Church and earned a Bachelor of Arts and Juris Doctorate degree from the College of William and Mary. He later went on to secure various leadership roles including being on the boards at the College of William and Mary, the Regent University school of law and Randolph-Macon Academy. His involvement with the university dates all the way back to the 1960s as Boyd was heavily involved in making Virginia Wesleyan what it is today. “Bob was an instrumental leader in the church and community who felt that it was important to have a Methodist affiliated college somewhere in the Princess Anne county and Norfolk area,” said President Miller. Robert Boyd had initially helped establish Virginia Wesleyan University back in 1961. “Bob was a part of drafting the original articles of incorporation and bylaws for the university that ended up being the original documents that were submitted to the commonwealth of Virginia,” explained Miller. Aside from taking part in founding Virginia Wesleyan, Boyd also had a part in a few things that Virginia Wesleyan is known for within the community, specifically the dining hall. “He’s had a tremendous impact on Virginia Wesleyan. 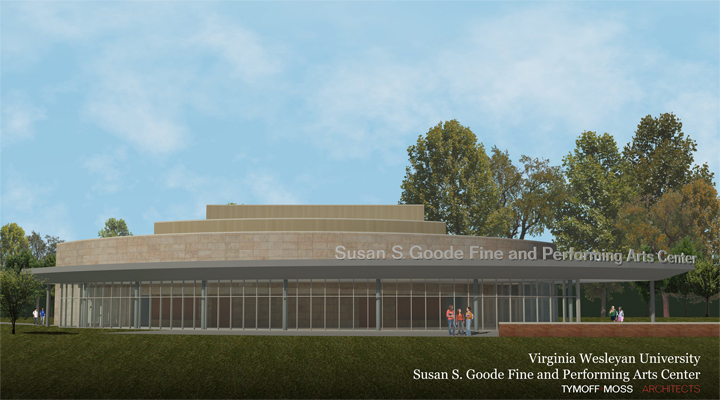 Of course, the Boyd Dining Center was named after him and his wife Sara,” said Greg West. West is the University Chaplain and was a close friend to Robert Boyd. Boyd was also fundamental to the erection statue of John Wesley that stands outside the dining hall, which he commissioned to be forged in England. “He commissioned the artist to make that statue and if I remember right, he told me it ended up being four trips to England to research it, to find the right artist, and then they do kind of the preliminary work to say is this what you want,” said West. Aside from this annual gathering, Boyd has particularly influenced West and his job as Chaplin here at Virginia Wesleyan. “I told him at one point a few years ago it would be great to have an intern to kind of help work with me, I don’t have a secretary, but not just for that work but somebody that could be a right-hand person. So, Bob gave some money to establish that and we have named that position in his honor. I hire a Boyd Fellow,” said West. Boyd had many responsibilities as a member of the board of trustees. 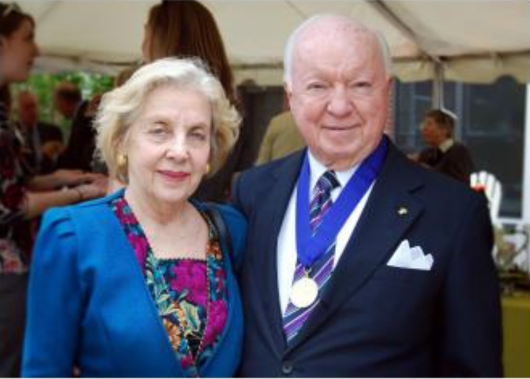 “He was instrumental in attracting some of the business people to the original board of trustees here and he was instrumental in attracting people with significant wealth that would give money to build the campus that we have today,” said Miller. Regardless of having more of a behind-the -scenes presence, Boyd had a great and meaningful impact to anyone who had the pleasure of meeting him.